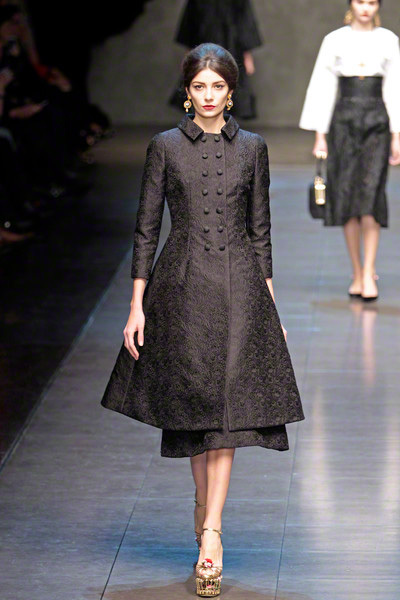 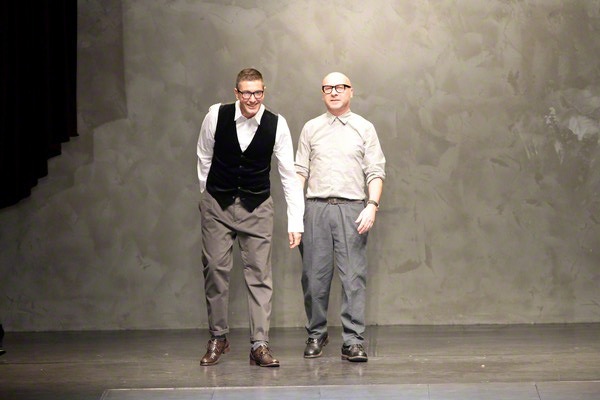 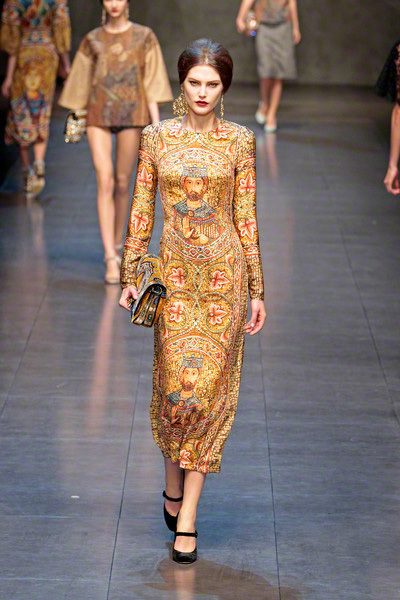 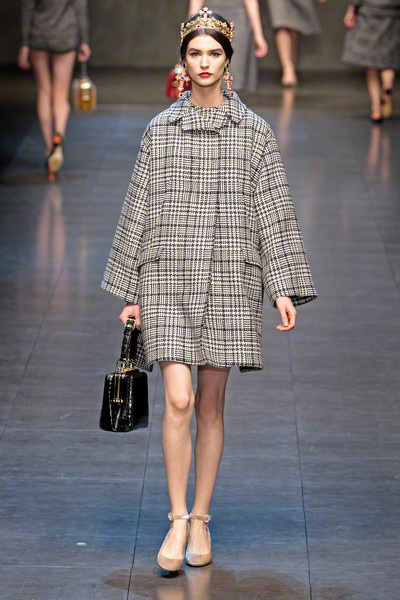 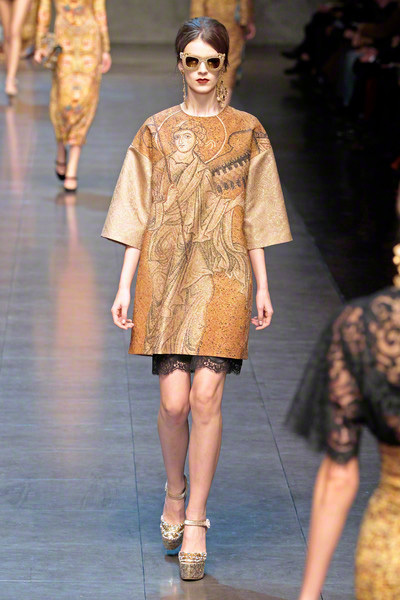 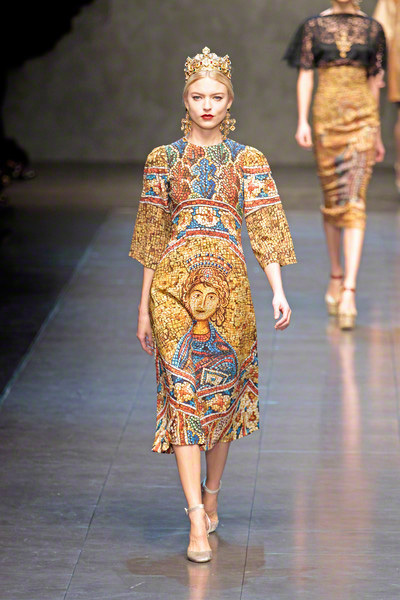 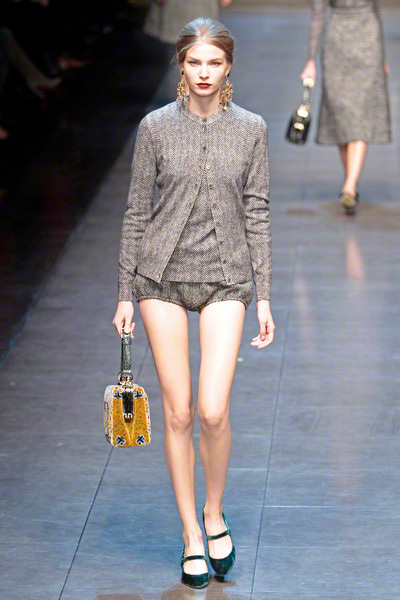 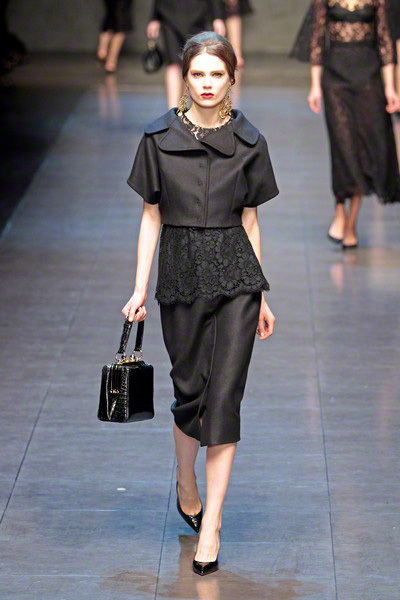 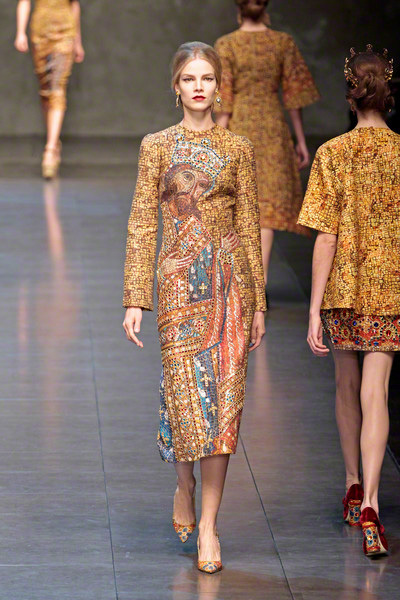 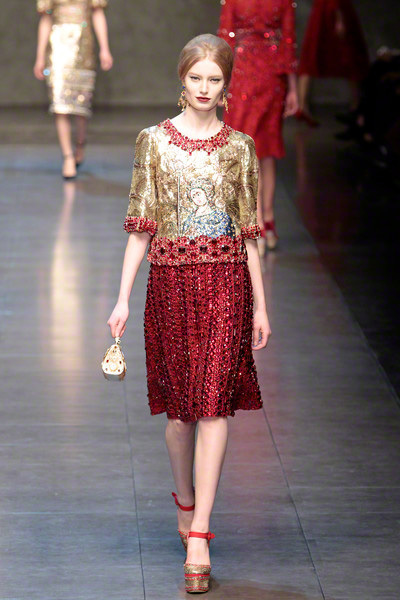 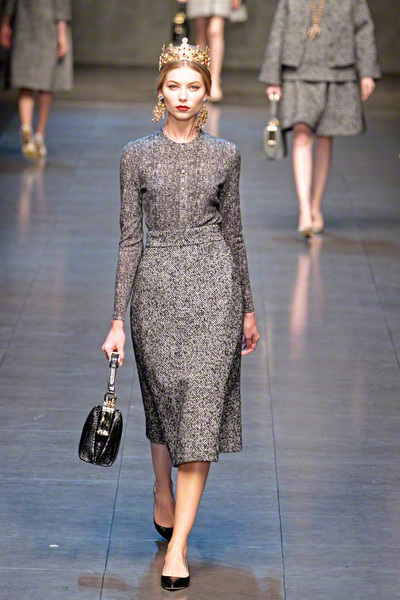 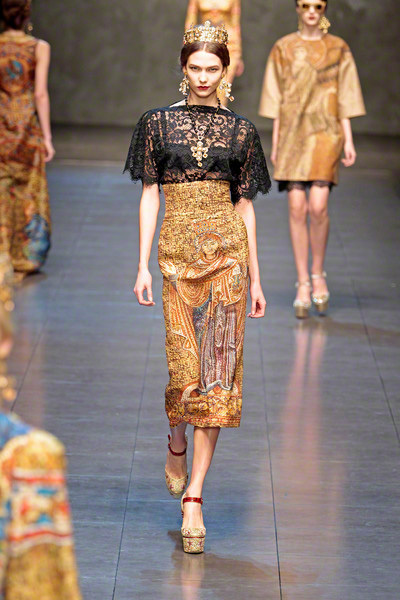 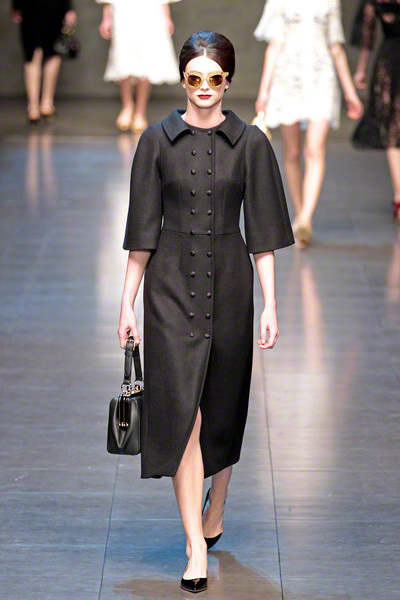 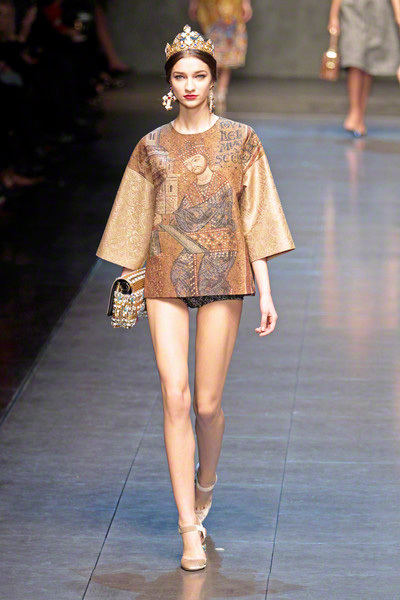 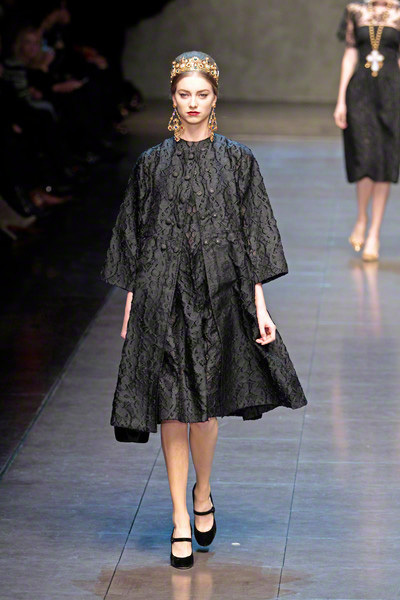 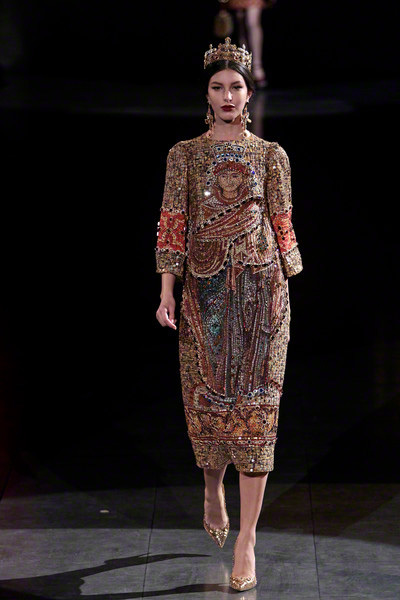 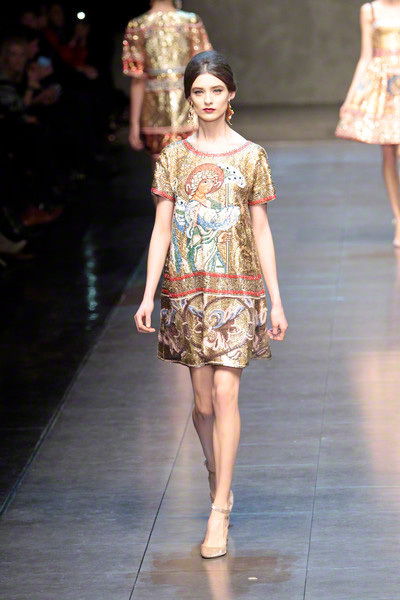 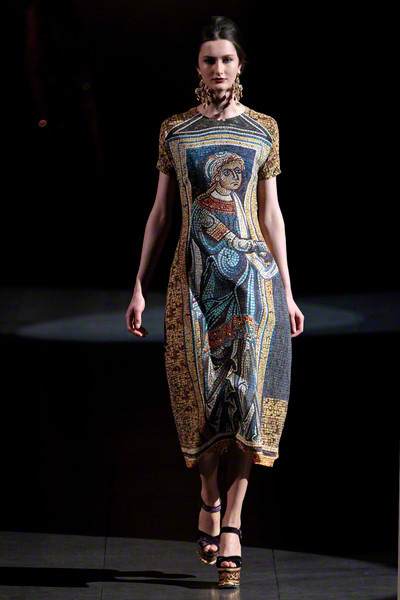 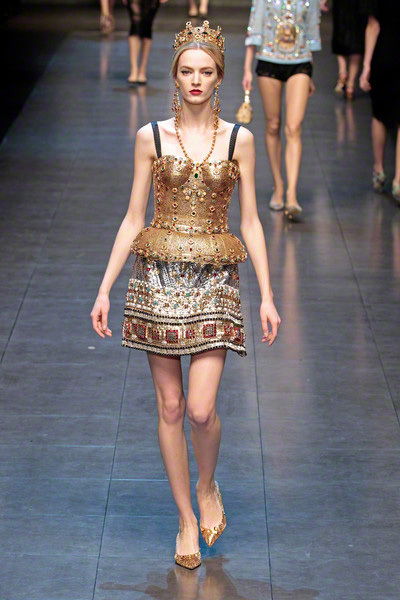 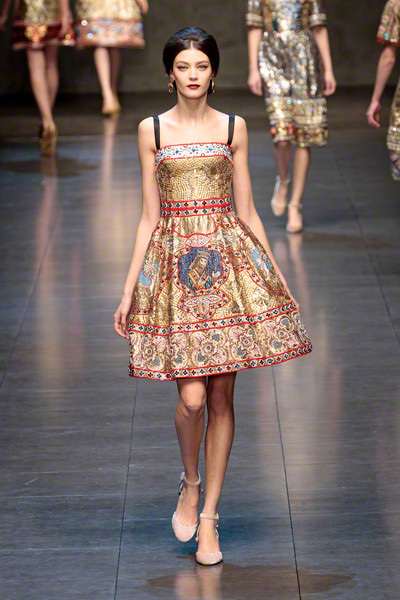 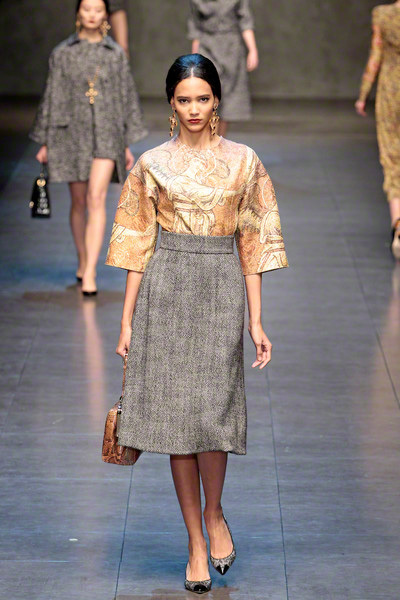 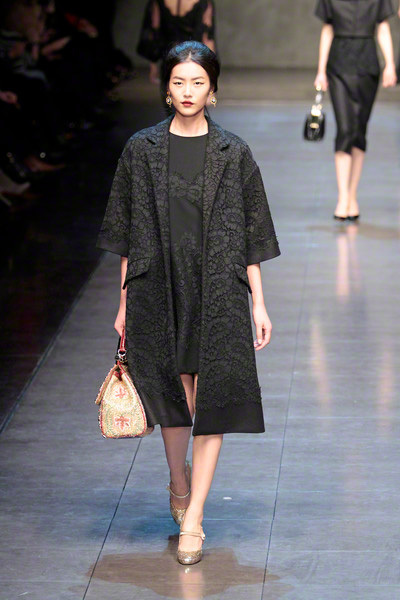 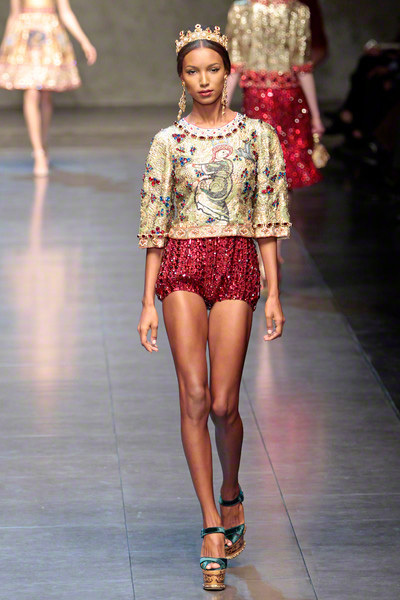 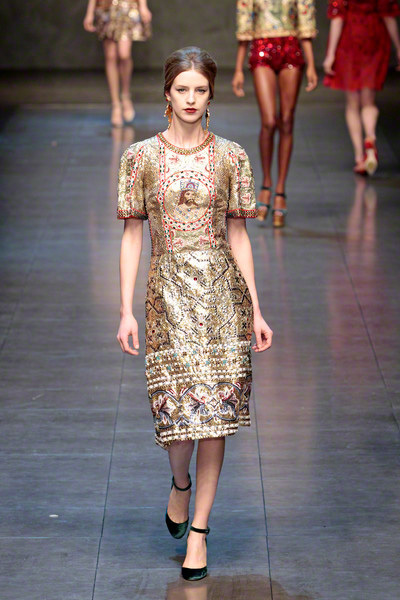 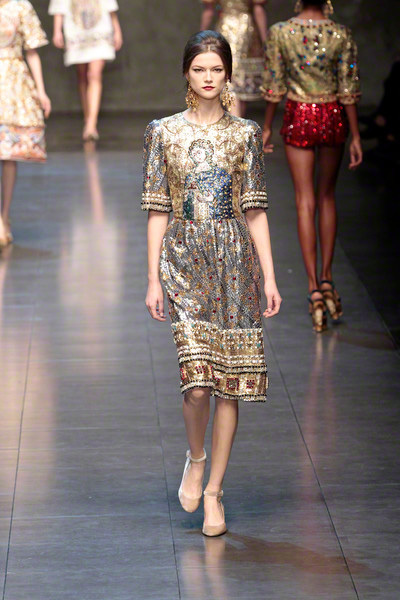 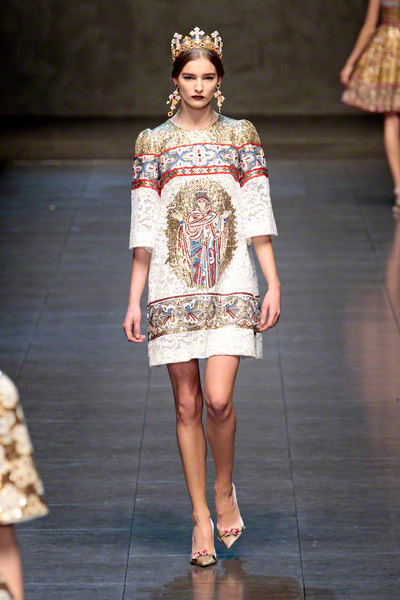 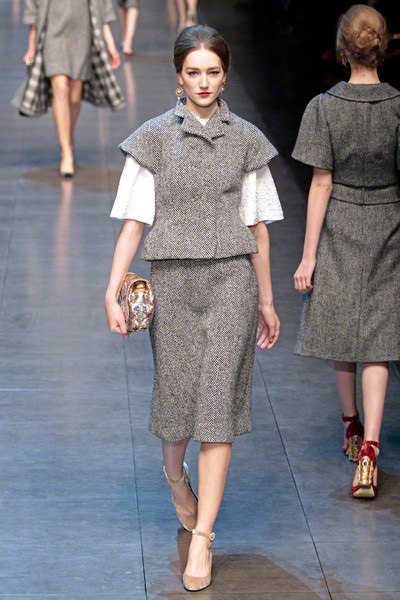 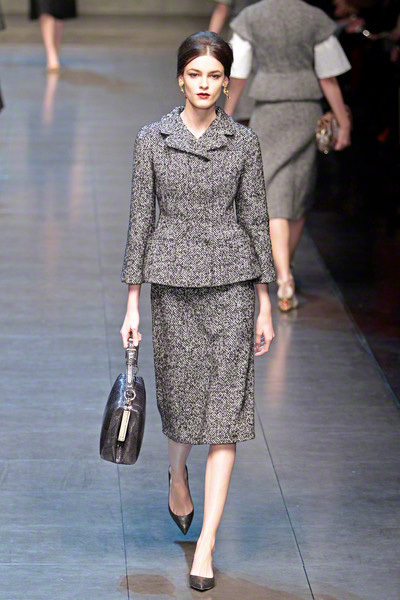 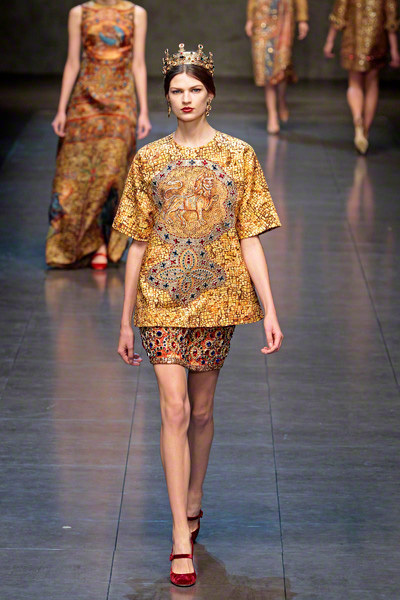 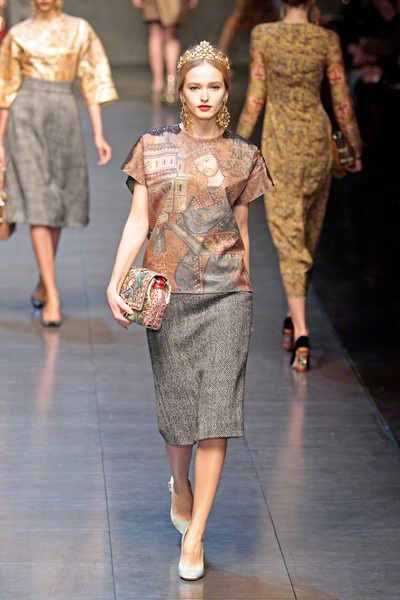 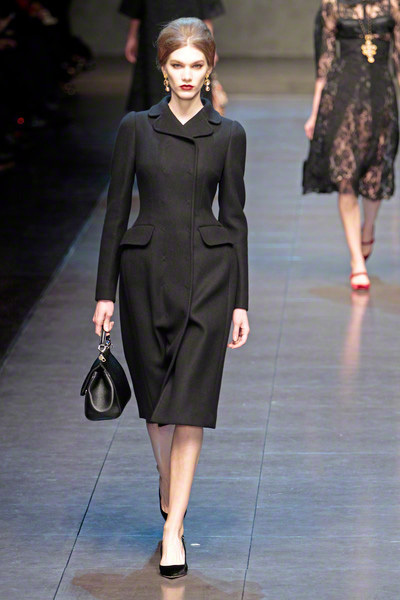 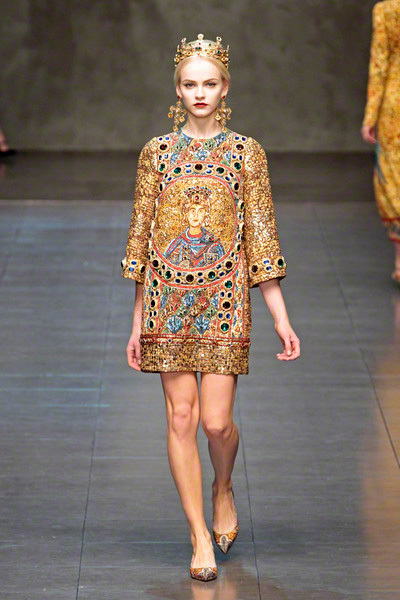 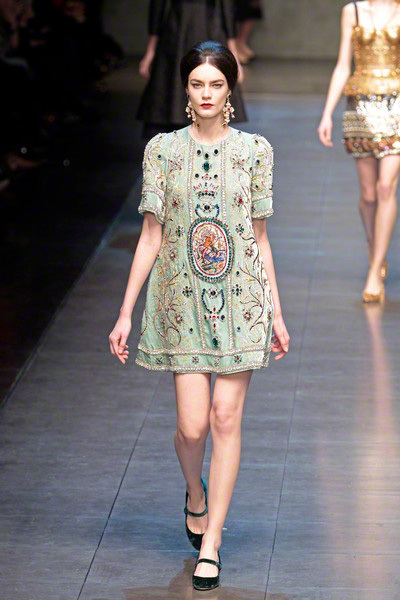 The golden mosaics of Sicily’s Cathedral of Monreale was the starting point of Domenico Dolce and Stefano Gabbana’s fall winter collection. 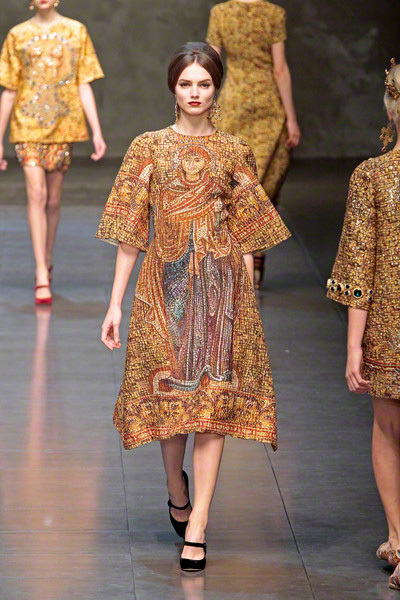 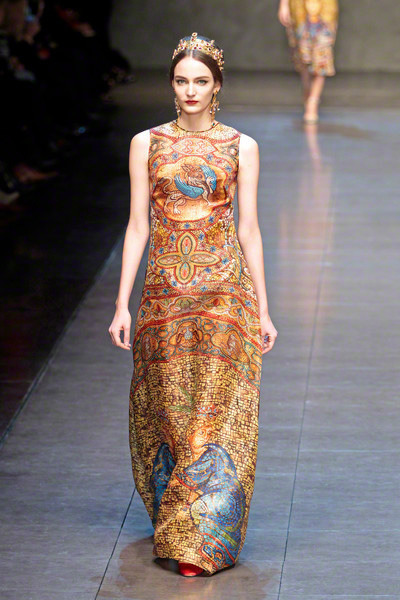 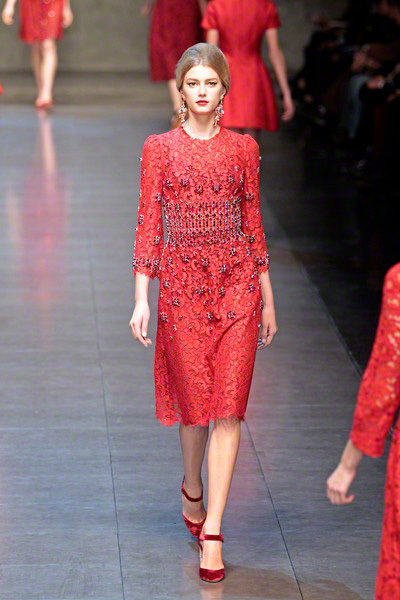 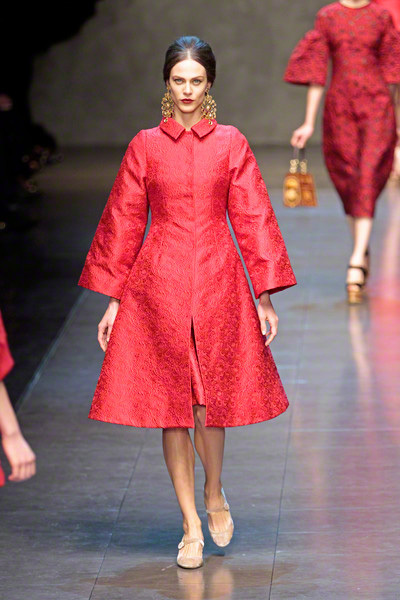 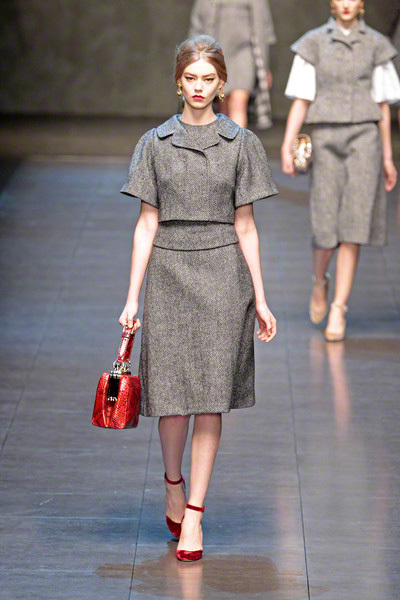 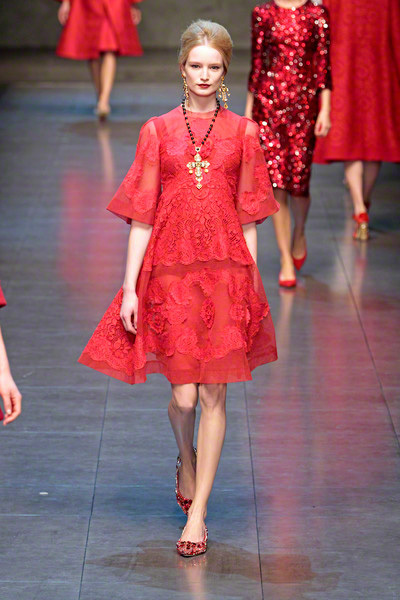 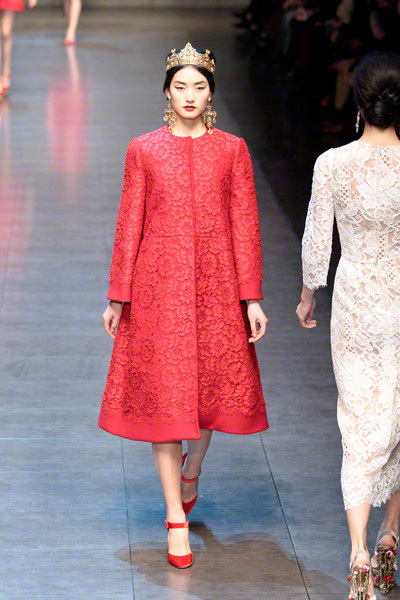 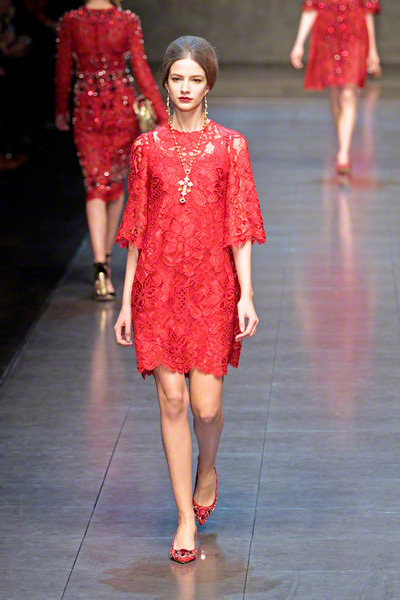 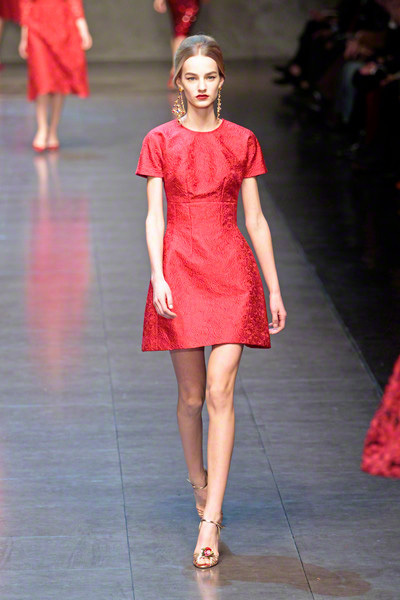 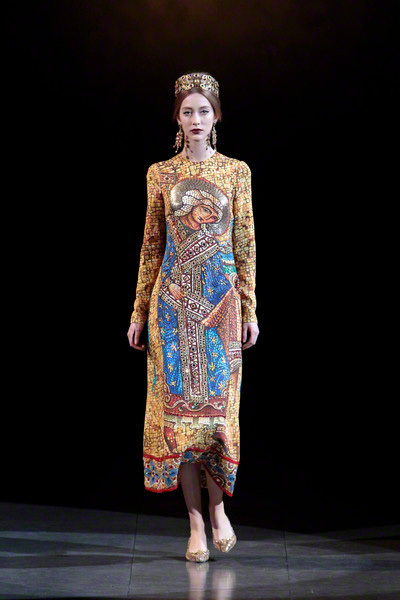 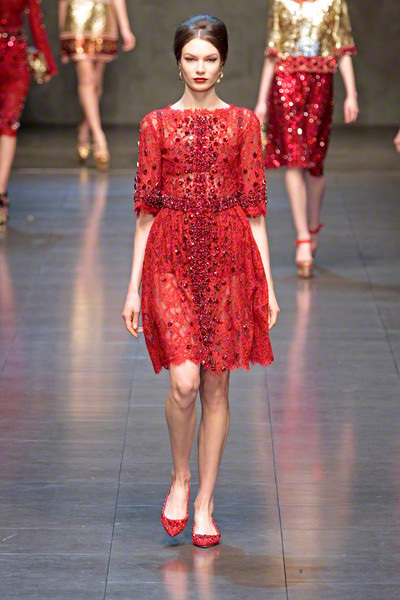 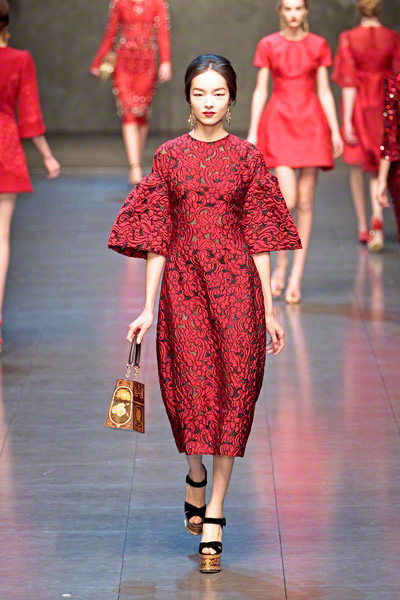 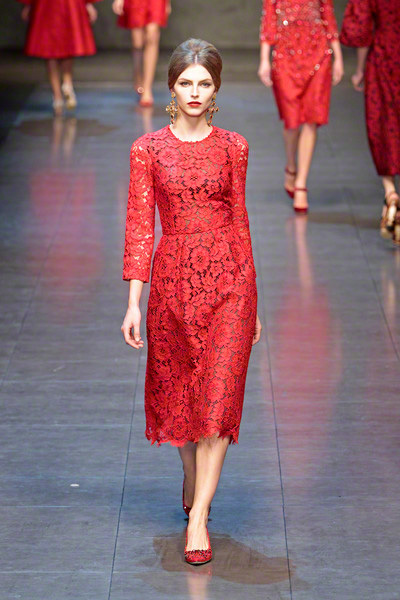 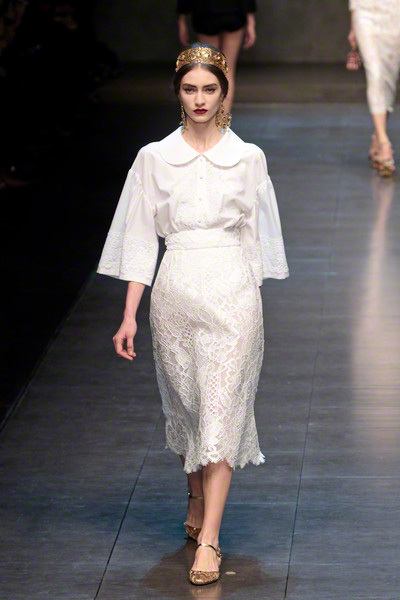 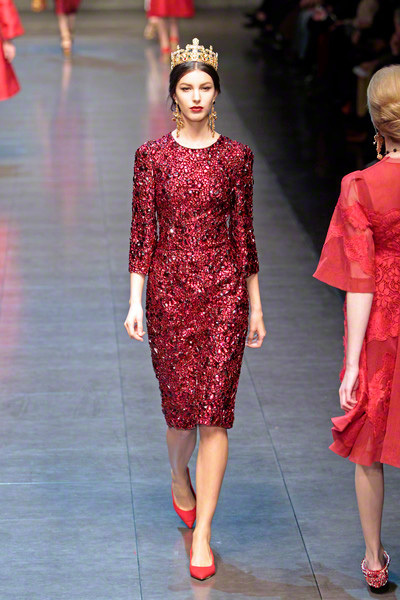 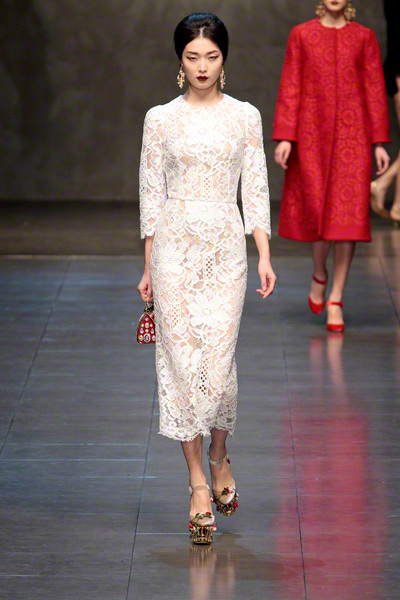 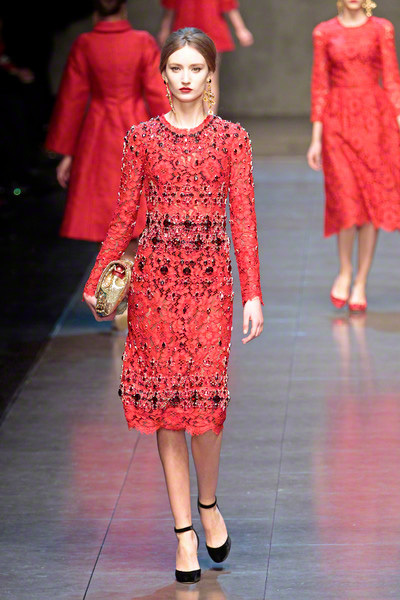 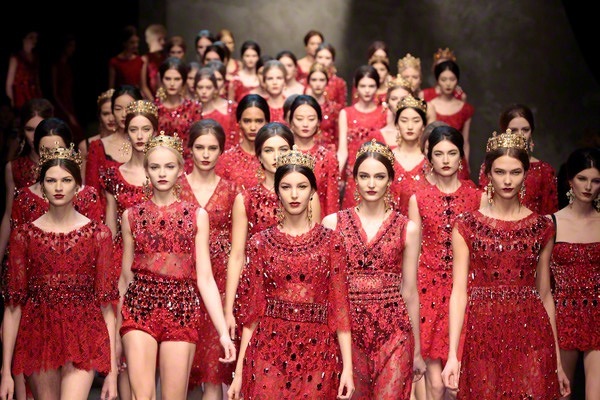 The duo sent out a dozen dresses printed with Monreale’s famous Byzantine and Venetian mosaics, and just as many lacy dresses in cardinal red. 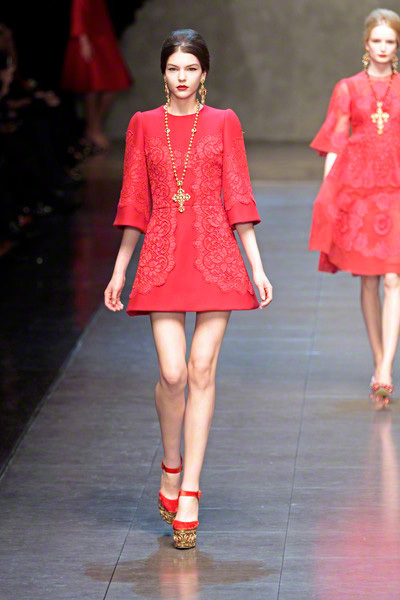 For jewelry, rosaries. 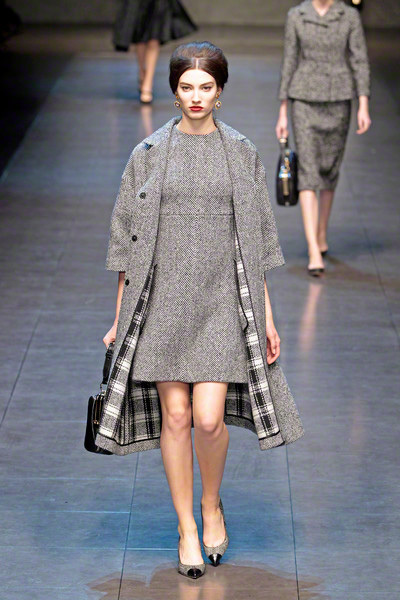 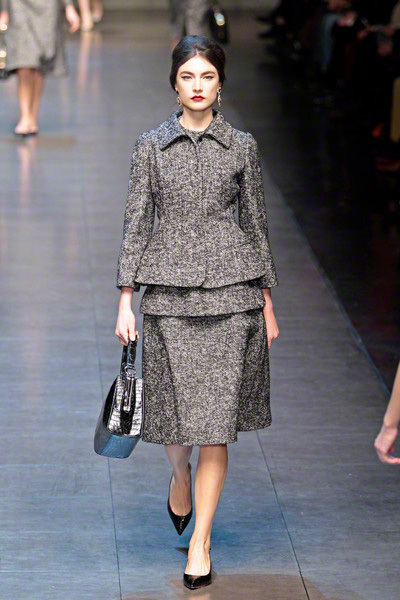 It was less kitsch than last season thanks to the sober herringbones and checks they used for skirtsuits and coats.